Layoffs have reportedly taken place at NantG Mobile, developer of Z1 Battle Royale, as Daybreak Games, the publisher of the game, has regained the development process. According to an anonymous source who spoke to Gamasutra, there were assurances that their jobs “were in no way tied to the success or failure of the project.” Reportedly, the developers knew that “the product was likely at the end of its profitability,” so 13 staff members having these promises broken was likely a shock for the team. The confusion with the branding for the game hasn’t helped it any. Originally H1Z1, a zombie survival game, the title has been broken up and rebranded numerous times to account for industry trends like battle royale. On the PS4, the game is still under the H1Z1: Battle Royale branding. What makes it even worse is that these employees’ severances, according to this anonymous source, have been affected. Daybreak, apparently, only accounted for their work at NantG Mobile (a joint venture studio between Daybreak Games and Nantworks only open for six months), not the original studio. Some of the employees had spent years developing games at Daybreak Games before breaking off to NantG. Despite a smaller staff, NantG Mobile will continue to develop mobile games, while both Z1 Battle Royale and H1Z1 will be under Daybreak Games. 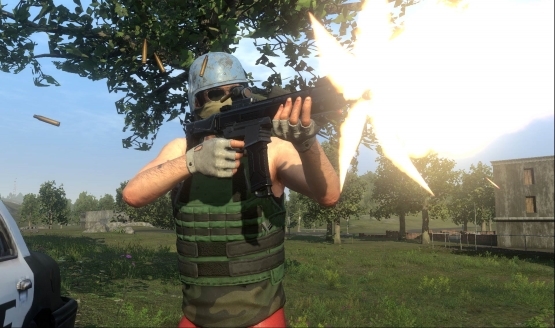 Servers will still continue for Z1BR and the Daybreak will provide “live maintenance” for the game. Daybreak Games, also behind Everquest and DC Universe Online, is having troubles of its own. Around 70 people lost their jobs at the company in December 2018. However, the studio still has a new class-based first-person shooter called PlanetSide Arena coming up this summer on PS4. It will have multiple modes, including Battle Royale, Global Conquest, and Massive Clash.